This high quality line of color is produced at a uniform and economical price. 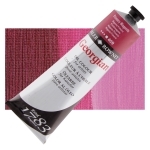 Daler-Rowney Georgian Oil Colors are ideal for use with a knife or a brush, for a variety of effects. Every batch is matched for color and texture against exacting standards. ® Daler-Rowney is a registered trademark.